Living Hope finds Phil assembling his strongest and most diverse music to date. This is unarguably the most singable collection of his career, and enlists the help of today's strongest songwriters and producers. This set of musical communal collaboration has produced the hymn book for our generation. From the post modernity of "Eyes Fixed" to the contemporary homage of "Living Hope", this record chronicles the worship journey of the church today. 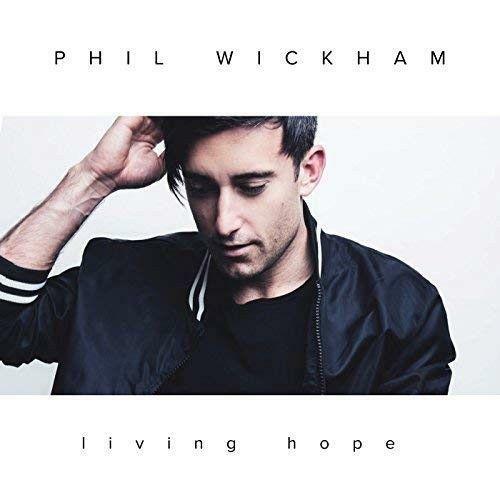 Phil Wickham is a name that should be familiar to anyone who pays interest to Christian Worship songs. As well as releasing regular albums, Phil's songs like "This is Amazing Grace" and "At Your Name" regularly feature in worship services around the globe with the CCLI listing "This Is Amazing Grace" at Number 4 in the top 100 worship songs. This album was released in August but the title track for it was released back in April and it gained millions of views on YouTube and had a number of covers from other artists before this album was even put out. This album is largely designed as church worship music so it may well be that you already recognise a few of the tracks that I will mention from events or even from your church services. The album starts with "Great Things" which is an easy to sing track which has a light EDM style to it and it's a call to worship God for what He has done for us. The chorus talks about the "Hero of Heaven" but this is not enough of a hook to pull you in. The song itself doesn't really bring anything that is all that new to the worship experience and it's very non-specific as we tell God that He has done "great things". The second track is "Living Hope", the title track that I mentioned that has already been picked up by a number of events and worship leaders, it even appears on the 2018 Soul Survivor album! This track seems to have everything in order to make a track that will take off in churches. This song has a slow build to an anthemic chorus and takes the poetic look at the love and grace that God poured out in order to save us from death's grip. The chorus builds to a crescendo and the verses lay down truths of the Gospel, so there is plenty to like here and it's probably this track more than any of the others that will be the one that circulates the most. "Breath Away" suffers from being much more about our reaction that worshipping God, it also suffers from the use of what I call Electronic Pigeons - listen for them I am sure you will hear them and know exactly what I am talking about. There is also a lot in this track that just seems to be rehashing what other worship songs have said. "Till I Found You" benefits from Phil Wickham writing with Travis Ryan so this should be an amazing song, but it takes a few seconds to adjust to the vocal that Phil uses on this track, I found I couldn't catch the lyrics particularly clearly, and there are some electric sounds put into the background that make it very hard to concentrate on the vocals. It's a distracting song and seems a little out of place at this point of the album. 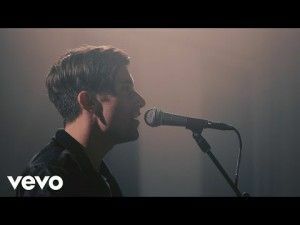 There are some tracks where it feels like he is trying to capture the sound of his earlier worship tracks that have taken off, "How Great" is on of these and the chorus sort of works, but the verses don't seem to quite feel as natural. "Boundless" is just a short chorus repeated a couple of times, but I like it because it is fairly simple and short, and he doesn't labour it to the point of a 5 minute recording which some artists might be inclined to do. The next track "Song In My Soul" features guest vocals from up and coming artist Hollyn, and this track does feel a lot fresher than many of those which have come before. This song is still a bit person-centric rather than really placing the focus on God, but that is often the case with modern worship. The next song "Wild River" has this problem too, as it talks about God's grace pouring OUT OF me, rather than God pouring out His grace ON us. It's only a little thing but it actually makes a huge difference in the meaning of the song. It is a shame that on this album we have to wait until the ninth track to hear Phil's signature sound, not the EDM backing, but the vocal. One of the best things about Phil's early albums was the natural slightly stretching upper range of his vocal and it's only on "Anthem" I feel we genuinely get the first listen to this. "Eyes Fixed" see's an EDM heavy chorus which drops out during the verses leaving just the vocal, and although this has a teaching point that we should live with our eyes fixed on God, it isn't a hugely memorable or deep song. Although Phil is most well known (at least recently) for the EDM worship, it is the songs like "Tethered" that really seems to bring out the best in him. The ballad style brings out depth in vocals and lyrics much more than the bouncy EDM style. It is this more simple style that brings us the penultimate track "Revive Us Again" which is an upbeat appeal to heaven for revival for the land, not really for any personal element to it. The last track is a fairly robust, but generic, worship track called "Christ is Risen". There are some nice touches with the vocal which infuses this song with a bit of extra personality. So this is an album that never quite captures the spark of some of the previous worship successes and in many ways it is trying to had to recreate "This Is Amazing Grace" with the EDM tinged worship. When he tries this it feels like things get over simplified and at the same time lyrics feel forced and it doesn't flow quite right. "Living Hope" itself is a great worship song which has already travelled and I am sure that it will go further in the next year or so. There are a few other highlights on the album, but these are mostly when Phil moves away from trying hard with the EDM style and opens up more, such as in "Tethered" or even "Anthem". This is not the success that I had hoped it would be, but at the same time there are some richly layered songs which stand out in this collection.